The best fashion move I ever made was enlisting the services of a professional stylist. 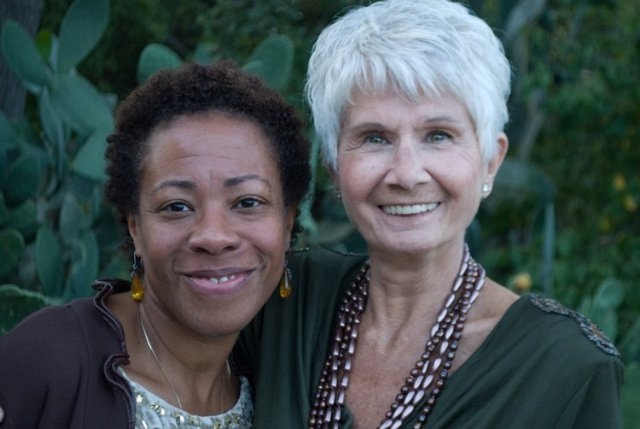 Several years ago, I became acquainted with Rivka, a brilliant stylist who had been working with women with all kinds of budgets for over 30 years. At the time, I actually thought I knew what my colors were and was mostly pleased with my wardrobe. In a couple of short (or long depending on viewpoint), I realized I had been getting dressed in the dark for most of my life. Over the years, I have come to understand the value of a trained eye on one’s wardrobe. Before Rivka, I had some idea about what I really should not wear under any circumstances. However, I could not tell you with any confidence what actually looked terrific on me and why. After three hours in the dressing room, I started to get an idea, and that was the beginning of my education in fashion. I emerged from that initial consultation/shopping trip knowing exactly how clothing should fit my body and which pieces communicate precisely the image I intend to present. For instance, when started out I wanted a sophisticated elegant image, which meant no patterns. A few years ago, I updated my look to something more modern and dramatic, which allowed for bold patterns proportionate to my petite stature, of course. Just a note, I still wear approximately 25% of the clothing I purchased on that initial shopping trip, so high was the quality and well chosen the pieces in terms of being classic staples. I continued to check-in with Rivka regarding new purchases and outfits for special occasions through the years. Each of these mini-consultations enabled me to further hone my own unique style. She encouraged me to take risks and told me clearly where I mis-stepped. In fact she is the one who got me back on track when my zeal for fashion-forward pieces began to skew my wardrobe too young. Employing the services of a professional stylist at least once in your life is the kind of investment that will continue to reap dividends the rest of your life. I highly recommend it for the serious fashionista of substance. You can contact Rivka at rivkagrubb@juno.com.